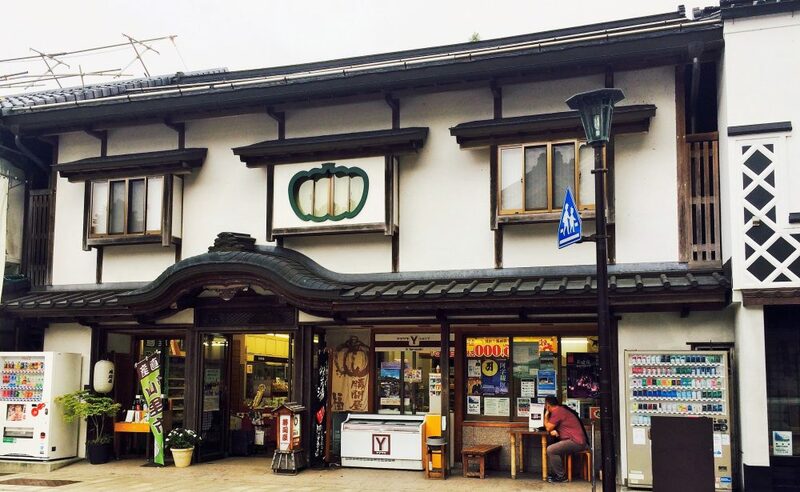 Koyasan and Nankishirahama are both famous for Wakayama’s touring spots. Koyasan is registered as the world’s heritage. There are many famous shrines and temples such as the Kongou shrine and there are shrines all over the mountain. Nankishirahama is warm during the whole year. People can enjoy going to hot springs and to the beach. 醸造元　：Wakayama Prefecture Founded in 1932 Nakano BC Co., Ltd.
Gyubadouji Gyubadouji is a statue by the kumayakodo in Nakahechi. The sunlight filtering through the trees glaring the statue is famous for sightseeing and there are many other symbols in Nakahechi. There are many other symbols besides the Gyubadouji so walking through the forest would be interesting. Kumanohongutaisha Kumanohongutaisya is one of the three famous shrines in kumanosansan and many people still visit here. It is also registered as the world’s heritage and one of the building is an important cultural property. It is a very austere place where people can experience the history.